Summer is finally here! It is time to discover new adventures, experience fun in the sun and take a moment to recharge. Begin your journey with travel ideas & tips for spending Memorial Day weekend in Delaware, the official kick-off to the summer season! While you’re having fun, share your travel photos on Instagram and Pinterest by following VisitDelaware and tagging your posts with #Delagram. ∙ Wondering where to go? From oceanfront beach houses to amusements on the boardwalk, each Delaware beach has its own ambiance. View a helpful guide to pick which beach fits your travel style. ∙ Search for Delaware restaurants, hotels and attractions by location and price! Then, view more details for each location with reviews, photos and save it to your trip planner by clicking the heart icon! If you&apos;re dining out, save time by making a reservation on VisitDelaware.com with OpenTable. ∙ Have questions about visiting Delaware? Write a post in the Tripadvisor forum for real-time advice. ∙ Planning a Memorial Day BBQ? Serve up some local flavor by offering local wine, beer and spirits from the locations on the Delaware Beer, Wine and Spirits Trail. Select a brewery, winery, distillery, meadery or cidery that suits your palate! Come find out what&apos;s on tap in Delaware! ∙ Summer in Delaware means it’s time for delicious steamed crabs. Learn how to pick and eat a steamed crab from a Delaware waterman with this helpful video! Then, search these listings for a place to dine out. ∙ Paddle, hike and bike your way along the Delaware Outdoor Trail. ∙ Take a break from the beach and discover things to do in Delaware beyond the sand! ∙ Learn about the best times to travel, get information about parking and much more from these easy-to-use travel tips. ∙ Take the scenic route! The Cape Water Taxi offers service Friday nights from Lewes to Dewey Beach. Plus, over Memorial Day Weekend you can experience sunset cruises or an eco tour! ∙ The Cape May-Lewes Ferry is a 90-minute scenic ride for travelers visiting the Delaware beaches from northern locations such as; New Jersey and New York. Vehicle and foot passengers can purchase tickets online or at the ferry terminal. If you’re a vehicle passenger, it is highly recommended to make a reservation. ∙ The Jolly Trolley Shuttle Service is a convenient way to travel between Rehoboth and Dewey Beach. Service begins Memorial Day weekend. The summer schedule offers daily service from 8:00 a.m. - 2:00 a.m. Rates are $3.00 one-way and $5.00 round trip. ∙ Use the DART First State’s Park and Ride lot located on Shuttle Rd. off of Delaware Rt. 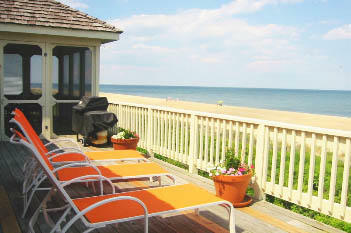 1, north of Rehoboth Avenue to ride in comfort to the outlets, boardwalk and beach. All buses are air conditioned, equipped with wheelchair lifts and can carry 2 bikes. DART’s Route 305 Beach Connection, operates from Memorial Day weekend to Labor Day weekends and provides service from Wilmington to Rehoboth Beach on Friday – Sunday nights. ∙ Sit back, relax and let CBreeze Shuttle do the driving! Try one of their wine and brew tours.